In 1967 when Bob became an attorney he saw a painting in a lawyer's office that greatly influenced his career. The painting was of a cow. Pulling on the tail was an English gentleman who was labeled "Plaintiff." Pulling on the horns was a similarly dressed person who was labeled "Defendant." Beyond the cow in the regal black robe and wig was the Judge and sitting on a milking stool milking the cow was a person labeled "Lawyer." The title of the painting was "Litigation." A copy of that painting is in our reception area. Since then Bob has kept his focus on what is best for his clients and not what is best for the firm. He does not believe attorneys should make a decision for a client but rather should explain the options available and the legal ramifications of those options. The client can then make an intelligent and knowledgeable decision. Bob has tried to keep our practice human and personal. He does not use file numbers, he use our clients' names. He prefers to have a real person answer the phone. He has evening hours for appointments since many of our clients cannot come to the office during the workday. Many times at the conclusion of a conference Bob is told by the client that they are glad they talked with him and they feel better for doing so. Bob may not have told them what they wanted to hear or he may not have devised a brilliant legal ploy but he did advise them the easiest, least costly, least time consuming, practical solution to their problem. Bob does not "milk the cow." Bob graduated from the University of Notre Dame in 1964. His law degree was obtained from University of Illinois Law School at Champaign, Illinois. Bob and his wife Trish have been married since 1969. They have three children and nine grandchildren. Bob handles most of the transactional work in the office, i.e. sales of businesses, real estate transactions, etc. Bob also does estate planning wills and trusts. Bob is a past Chairman of the DuPage County Real Estate Law Committee, former General Counsel to the DuPage Board of Realtors (now known as the Mainstreet Organization of Realtors) and a frequent speaker at seminars on real estate and estate planning topics. Stacey became a lawyer because she wanted to help people. 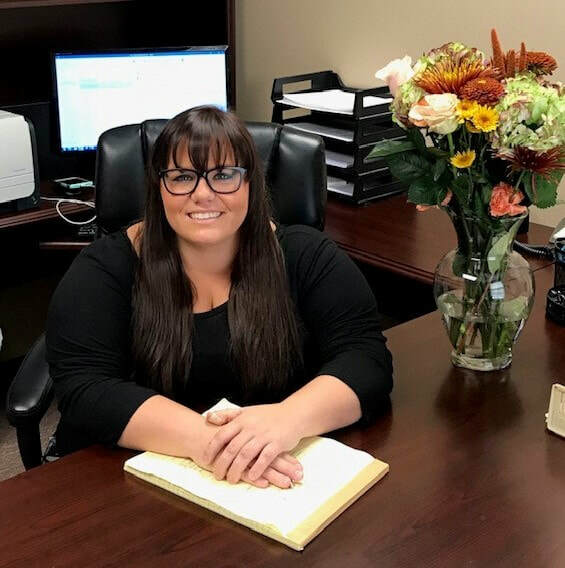 The justice system can be daunting and as your counsel Stacey can help you maneuver through the system whether you are the one suing or being sued. Stacey's specialty is in litigation. She has tried everything from medical malpractice cases to DUI's. Her practice areas are vast. There is not an area of law she is not comfortable with or willing to litigate. Stacey believes, as your counsel, it is her duty to explain to you the risks involved in litigation and of course she will give you legal advice but ultimately it is your decision as to whether you want to proceed to trial. Stacy is diligent in the way she litigates and how she communicates with clients. She will answer your phone calls and you will be treated with respect. In 2010, Stacey was named one of the Top 100 Consumer Female Lawyers in Illinois. In 2009, she was the youngest woman to ever obtain a verdict for over $22 million for an individual plaintiff. Stacy is tenacious and committed to the cases she takes. Stacey received her Bachelor of Science degree from the University of Illinois and her Juris Doctor from The John Marshall Law School and was admitted to practice law in Illinois in 1999. When asked what they want to be when they grow up, for most children the answer is constantly changing. Gina knew at just 5 years old that she wanted to be a lawyer and never swayed. Gina became a lawyer because she felt that lawyers are in a unique position to help individuals, groups, and organizations. As lawmakers, thought leaders, and change agents, lawyers are also in a unique position to affect societal change. Gina’s legal experience consists largely of real estate. Prior to joining the Borla, North & Associates team, she worked as a legal assistant at a real estate law firm for nearly three years. Gina believes that buying or selling a home is an extremely important event and that it is her duty to fight for her client’s interest throughout the transaction, and to help them make educated decisions by explaining all available options, legal ramifications, and expenses associated with them. Gina received her Bachelor of Arts Degree in Sociology from Eastern Illinois University and her Juris Doctor from The John Marshall Law School and was admitted to practice law in 2018.